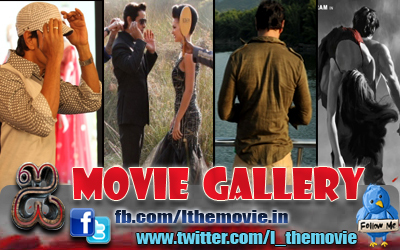 Home » Latest Buzz » Chiyaan Vikram: Sitting pretty ! 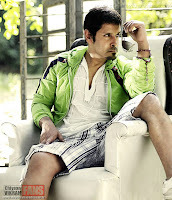 Chiyaan Vikram: Sitting pretty ! Chiyaan Vikram hits the gym twice a day now. He wants to sport a scrawny look for his new film. “My diet and fitness are driven by my characters,” the actor says. “If I want to play Uncle Ben or Hardy, I will happily pile on the kilos,” he laughs. Fresh after the success of Raavanan at the national and international level, the actor revels in an exciting phase of his career. “I want to be a ‘human chameleon' that changes according to every character. It is tiring and challenging. But the expectations keep me going,” he adds. Vikram teams up with director Vijay for his yet-to-be-titled film. Director Vijay tasted success with Kireedom and won accolades for the poignant Madarasapattinam too. “It is an exciting film, the subject is relevant and it is the best character I have ever done,” says an elated Vikram of his new venture. The performance-oriented film also packs a beautiful message. On striking a balance between being a star and a dependable actor, Vikram says he has been plainly lucky. “In most films, I blend easily into my director's vision. And, I try to offer fresh inputs to ensure every new role is better than my previous best,” he says confidently.